Première Vision, the international organiser of high-end textile trade fairs, is launching a new event with a brand-new concept. It is due to debut on 6 and 7 July 2016, long before the major show Première Vision from 13 to 15 September 2016. 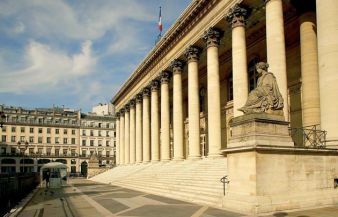 Palais Brongniart, the former exchange in the heart of Paris, has been chosen to host the debut event which is expected to attract around 60 suppliers unveiling their fabric and leather collections for autumn/winter 2017/18. The name of the new event will be announced at the forthcoming Première Vision, which is poised to run from 16 to 18 February. The new event coincides with the Munich fabric fair View, which is taking place this year on 5 to 6 July, once again at the MVG Museum.